This is Vintage brass nautical walking stick. Beautiful gift for gentlemen & your lovers. Made by Indian rose wood. Brass ring between handle and walking stick is fix. you can remove easily after removing the handle Material: Brass & Wood Finish: A show in pitcher Total length: 36 To 37 inches, 92cm You can fold it easily and take it with you. 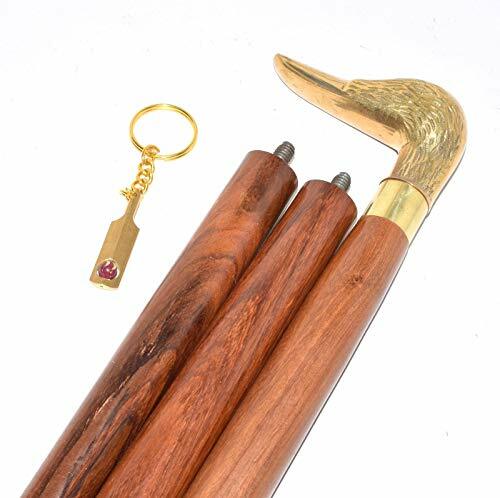 It comes in three pieces which we can easily add a stick, we can gift it to anyone. If you have any questions about this product by classical.gift.export, contact us by completing and submitting the form below. If you are looking for a specif part number, please include it with your message.